We offer 6in K-style, 6in half-round, 7in K-style, 7in box, and 8in K-style seamless rain gutters. We also offers custom fabricated leader heads in copper and aluminum. Our downspouts are 3in x 4in, 4in round, and 4in x 5in. All are available in multiple colors. Aluminum is the standard, although we do offer copper and steel. Due to the rigidity and weight of steel we don't offer it in seamless form. If you have a special design or application, we offer system fabrication services as well. We offer external wrap around hangers for the 6in half-round. There are superior fastening methods depending on the roof style, fascia style, and aesthetics desired. Every installation is similar in some ways, but every project is unique. 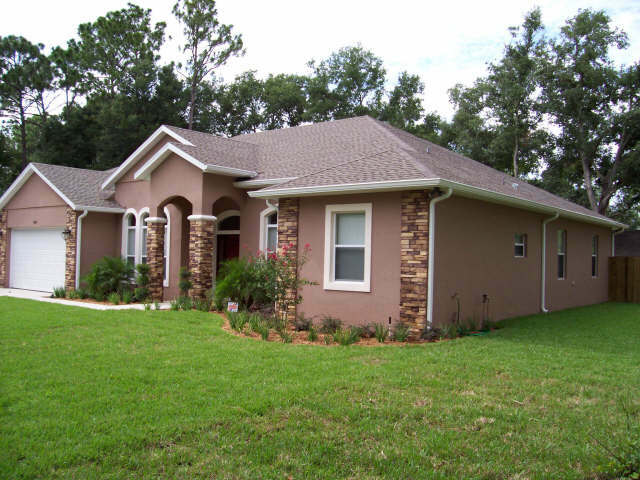 When your system is designed it will be determined by the Guaranteed Gutters representative and you, exactly what size gutter and downspouts must be used, as well as, the fastening method. There are hidden hangers for all systems and ring-shank spikes for 6in and 7in rain gutters. Installation and products will also be discussed in detail during a free estimate. If you are a homeowner, we guarantee our work for as long as you own your home.Our services include: installation, repair, and cleaning of both residential and commercial gutters. It would be our pleasure to give you a free estimate. You have nothing to lose, give us a call or contact us today.